How to watch Kill Your Darlings (2013) on Netflix Argentina! 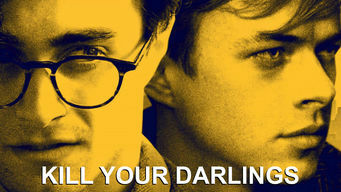 Yes, Kill Your Darlings is now available on Argentine Netflix. It arrived for online streaming on October 7, 2017. We'll keep checking Netflix Argentina for Kill Your Darlings, and this page will be updated with any changes. In 1944, budding poet Allen Ginsberg falls under the spell of Columbia classmate Lucien Carr, who introduces him to the nascent Beat movement. It was the birth of the Beats. New ideas, new loves, all breaking society's rules. Someone could get killed.